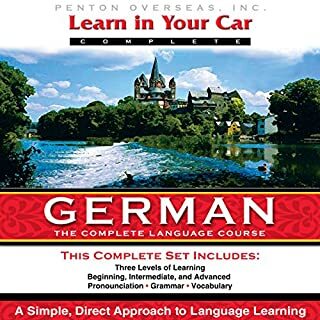 Listeners learn pronunciation, vocabulary, & grammar of German without the need of a textbook: Level 1: Key words and phrases, basic grammar skills, emphasizes travel needs; Level 2: Expands vocabulary, new grammar concepts, more day-to-day activities; Level 3: Broadens vocabulary base, more advanced grammar skills, enriches conversational ability. 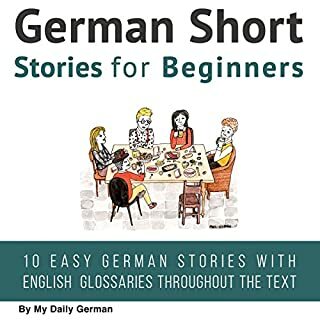 This book will provide you with the 100 verbs you have to learn first to get around when traveling or interacting with German-speaking people. The phrases are presented in a very simple fashion: past, present, and future. No complications with the many different conjugations and their weird names. Straight and simple. 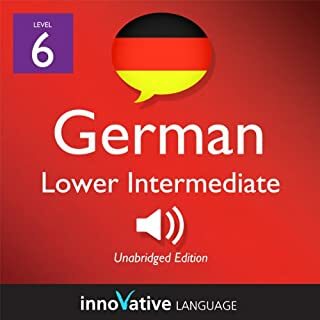 The most challenging grammar rules for students of the German language are gender, case and adjective endings. These rules are especially tricky in free-flowing dialogue. 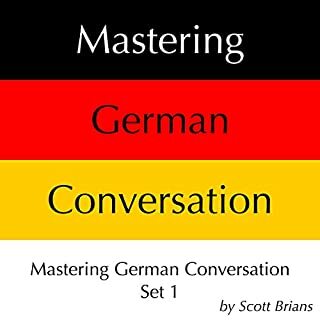 Mastering German Conversation provides eight and a half hours of verbal practice with these rules. Focus your Spanish learning on the most frequently used English phrasal verbs. 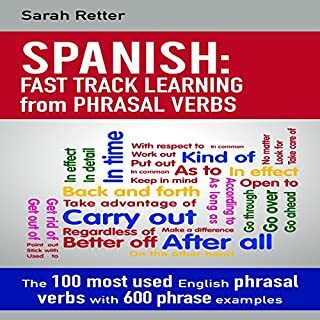 Learn how to express in Spanish the meaning of the 100 English phrasal verbs you need for everyday life. 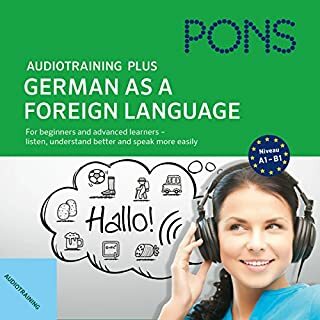 Learn German whenever you like, wherever you like - it's easy with "PONS Audio Training Plus: German as a foreign language". 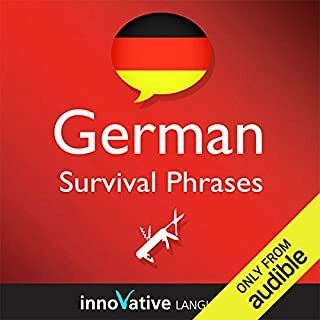 Brush up your German, increase your vocabulary and experience targeted practice of your listening comprehension. You will be exposed first to words, then sentences, then dialogs so that you can improve your skills step by step. 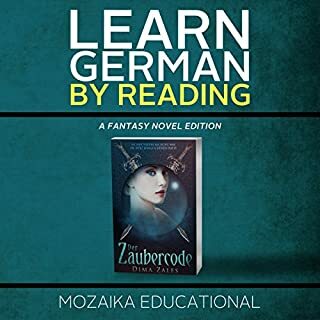 Includes a PDF file with all words and phrases used plus their translations, as well as dialog scripts. Spanish Verbs Conjugation - with No Memorization! 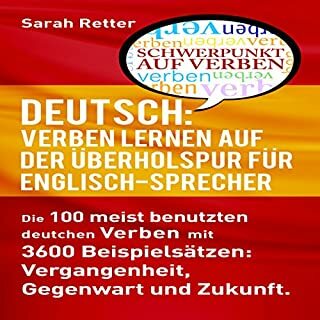 Master the Spanish verb AMAR , TEMER, PARTIR, SER, ESTAR, DORMIR, IR, PEDIR, PODER, HABER, TENER, JUGAR ---with no memorization! Learn the different conjugations of the highly useful verb AMAR, TEMER, PARTIR, SER, ESTAR, DORMIR, IR, PEDIR, PODER, HABER, TENER, JUGAR without memorizing anything. Using repetition exercises designed to build your reflexes, the drills will help you develop an instinct to select the correct verb form naturally, with no more hesitations. Pronounce Spanish verbs the right way! 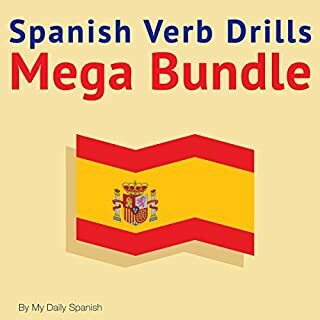 The drills are narrated by a Spanish speaker and guaranteed to help you learn and practice correct pronunciation---as it is spoken today. 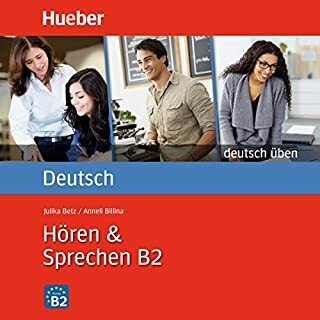 Der Fertigkeiten-Trainer " Hören & Sprechen B2 (Deutsch üben)" richtet sich an fortgeschrittene Deutschlerner (Erwachsene + junge Erwachsene) zum selbstständigen Üben und Wiederholen, zur Überbrückung von Kurspausen, als Vorbereitung auf die Prüfungen der Niveaustufe B2 (Hörverstehen, Sprechen) bzw. zum Erhalt dieses Kenntnisstandes. Was haben eine Ritterrüstung, die Tabakdose Friedrichs des Großen und der WM-Fußball von 1954 gemeinsam? 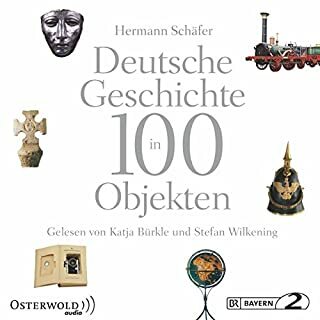 Es sind drei von 100 Mosaiksteinen der deutschen Geschichte, stumme Zeugen der Vergangenheit. Hermann Schäfer, einer der führenden Vertreter der deutschen Museumsszene, fügt sie in dieser Sammlung zusammen. Anschaulich und gut verständlich dokumentiert er die Geschichte der Objekte und macht zugleich auch ihre erstaunliche Umdeutung im Dienst politischer Interessen und gesellschaftlicher Umbrüche deutlich. 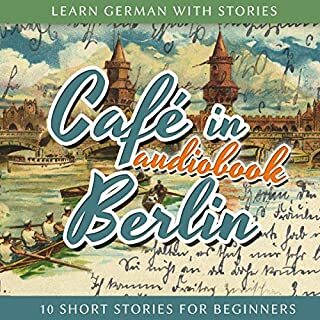 Durch ausgefeiltes Sounddesign und mit Hilfe der Sprecher Stefan Wilkening und Katja Bürkle wird der Hörer in verschiedene Klangsituationen und damit auch akustisch in die Vergangenheit versetzt. Going to Spain or Mexico and looking to make friends? 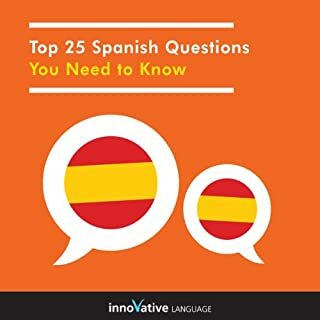 Don't leave home without the Top 25 Spanish Questions You Need to Know! 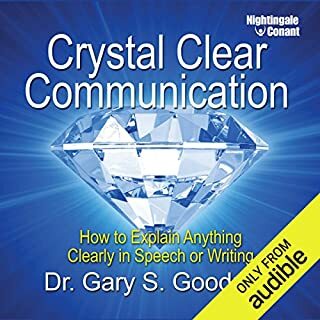 In this powerful audiobook, you'll master responses to all the basic questions, from "What's your name?" to "Where are you from?" and more. Built into every lesson you'll find opportunities for extensive practice, self-review, and self-evaluation. 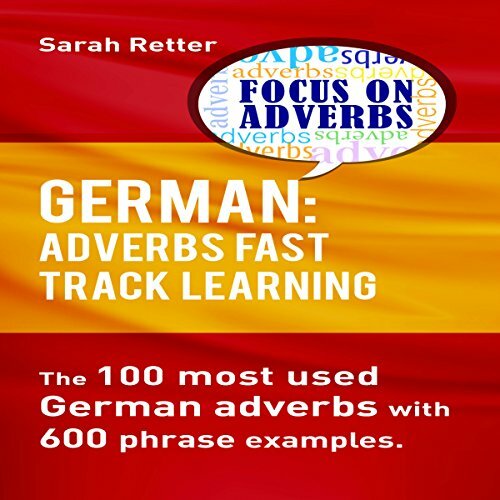 Focus your German learning on the most frequently used adverbs. Learn just the 100 adverbs you need for everyday life. One of the usual mistakes when learning a foreign language is that the student has no priorities. All the unknown adverbs get the same attention. Actually, to communicate you only need 100 adverbs in any language. These adverbs are the most frequently used and can be defined using an algorithm that provides the ranking. In this book you'll find the list. 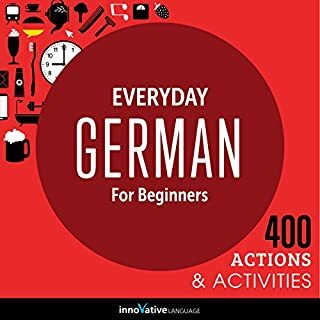 This book will provide you with the 100 adverbs you have to learn first to get around when traveling or interacting with German speaking people. So, don't waste your time and energy! 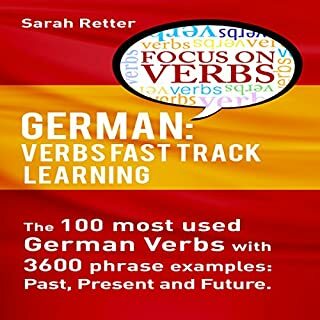 Focus your effort on the most important adverbs you have to learn to master German! Download your copy and start focusing your energy today! listen and repeat 5 times. you will have to listen and repeat at least 5 times to see it working. 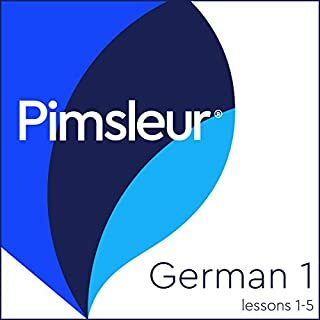 the deutsch accent is not the best though.